Introducing my new book from Sophia Institute Press! I’m so excited to tell you that it’s finally out for purchase on paperback and Kindle/ebook. I’m so very humbled and appreciative of their generous words. Converts often bring to the Catholic Church an evangelical zeal that can renew and energize even the most tired and battle weary among us. The Church is hurting for enthusiastic voices to proclaim her teachings on truth and morals. In these pages, Shaun McAfee, a convert from Evangelical Protestantism shows how we can take the best tools of evangelization and use them to reach countless souls with the fullness of the Christian Faith. 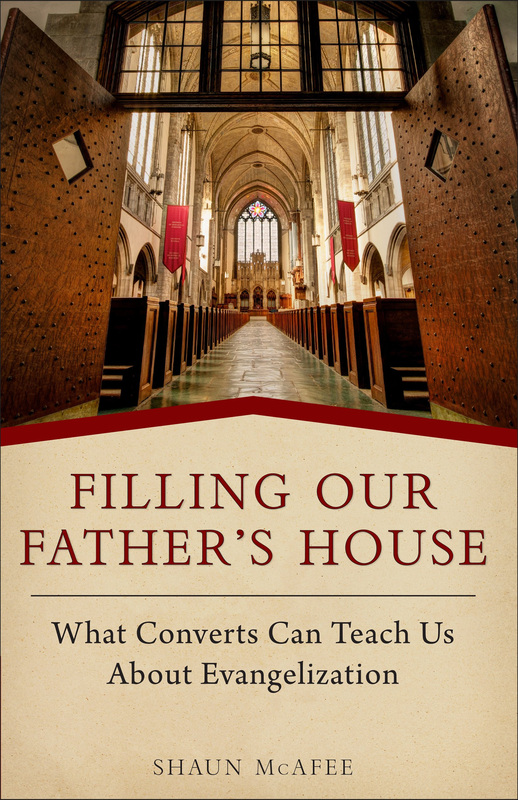 This book is written for the Catholic who is looking for a practical guide to evangelization. To me, there are a LOT of books out there telling us of our need to evangelize, read scripture, and be the Church – This book TELLS you HOW to do that, step-by-step. There are no tricks, only advice and directions that work! This book has the power to revolutionize the activity in your home, parish, small group, study, and conversations with non-believers and other Christian faiths! I know you’ll enjoy it. Alright, so I have to tell you where to buy it right? 1) Signed copy. I don’t have a store on my website, I promise I’ll make one, but if you have a PayPal account and would like a signed copy, just reply to this email and I’ll send you instructions for payment. It will only be the full cost of the book and the cost of postage – nothing more. 2) Amazon. You know the Amazon drill. One-click orders, 2-day shipping, immediate Kindle download, etc. USE THIS LINK to make your purchase. 3) Sophia Press. There’s no better way to support the apostolate than to make a direct purchase. Sophia has man other great titles as well. CLICK HERE to purchase from Sophia’s store. BONUS! Your local Catholic book store. They likely will have this on their shelf now, or in the near future. Ask them to order you a copy! PreviousShould We Ask Questions About the Salvation of Those Who are Tortured? NextDid You Know That Jesus Had No Faith?